On April 2, 2019, The Patent Trial and Appeal Board (PTAB) declined Valve’s petition to institute an Inter Partes Review of U.S. Patent No. 9,235,934 (the ‘934 Patent) for being a repetitive challenge to the patent. The genesis of this action is the patent infringement lawsuit, Electronic Scripting Products, Inc. v. HTC America, Inc., No. 3:17-cv-05806-RS, filed on October 9, 2017, in the Northern District of California. Electronic Scripting claimed HTC and Valve had infringed the ‘934 Patent and U.S. Patent No. 8,553,935 by integrating Valve’s technology into HTC’s VIVE headsets. 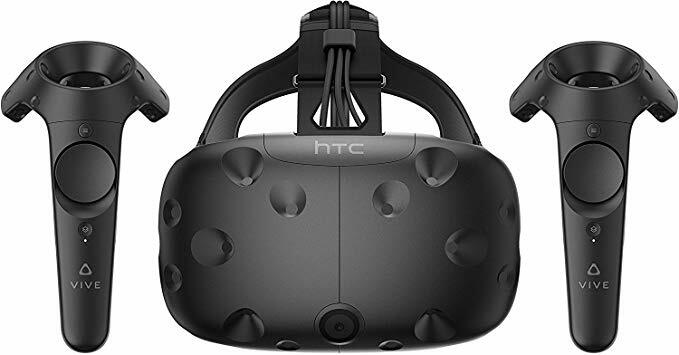 On January 25, 2018, Electronic Scripting voluntarily dismissed Valve from the lawsuit, but not HTC, who in turn filed a first IPR petition on the ‘934 Patent. The PTAB declined to institute an IPR based on the first petition because HTC failed to show that any of the challenged claims would likely be invalid. Five months after the PTAB rejected HTC’s first petition, Valve submitted additional petitions to the PTAB based on other grounds, which the PTAB suggested were based on lessons learned from the denial of the first petition. the requirement under 35 U.S.C. § 316(a)(11) to issue a final determination not later than 1 year after the date on which the Director notices institution of review. Id. The PTAB found that every factor weighed against instituting Valve’s later IPR petitions because of how closely linked Valve is to the litigation and HTC’s previous IPR petition. The first factor weighed against Valve because the PTAB found Valve’s petition was directed at the same claims as the previous IPR. Factor two weighed against institution due to the new prior art Valve asserted in its petition being fairly easy to find, which meant HTC should have known it existed. The third factor weighed against instituting the IPR as a result of Valve using the outcome of the first petition to help craft its petition. Factors four and five weighed against Valve because of the five-month delay on Valve’s part to file the petition. The Board explored the impact of the Federal Circuit’s Click-to-Call decision in factors four and five. Prior to the Click-to-Call decision, Valve was not time barred because Electronic Scripting had dismissed the complaint against Valve. However, the Click-to-Call decision changed the law, and Valve was put in a position where it had to file or Valve would become time-barred. The PTAB reviewed the situation but ultimately decided that this did not impact the fairness of Valve’s delay in filing its IPR petitions. Finally, factors six and seven weighed against Valve because allowing similarly situated parties to continuously petition for IPRs would drain the resources of the PTAB. With all seven factors weighing against instituting Valve’s IPR petition, the PTAB denied institution. Because institution was denied here, Valve may still be able to challenge the validity of the patents back in the district court, but as noted above Valve is no longer a party to the ongoing litigation. See Shaw Industries Group, Inc. v. Automated Creel Systems, Inc., 817 F.3d 1293 (Fed. Cir. 2016). We will continue to follow this case, and provide updates when available.